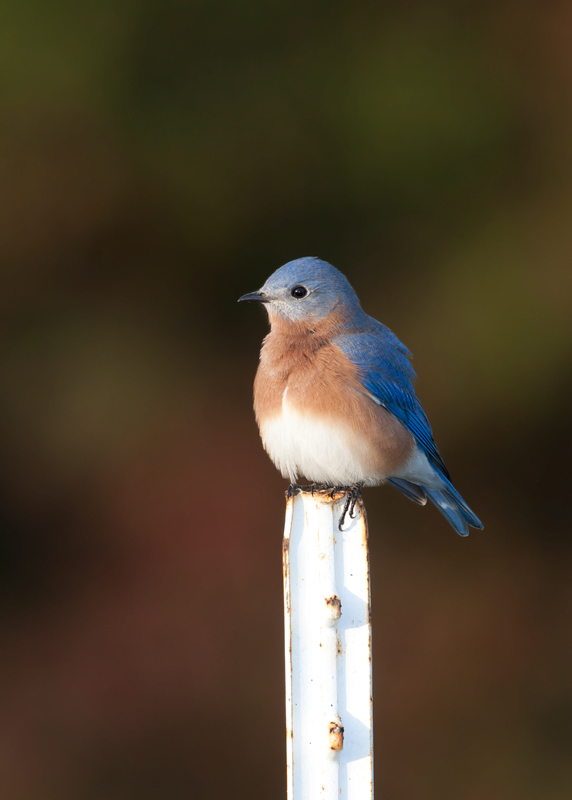 Out and about in Maryland and West Virginia. 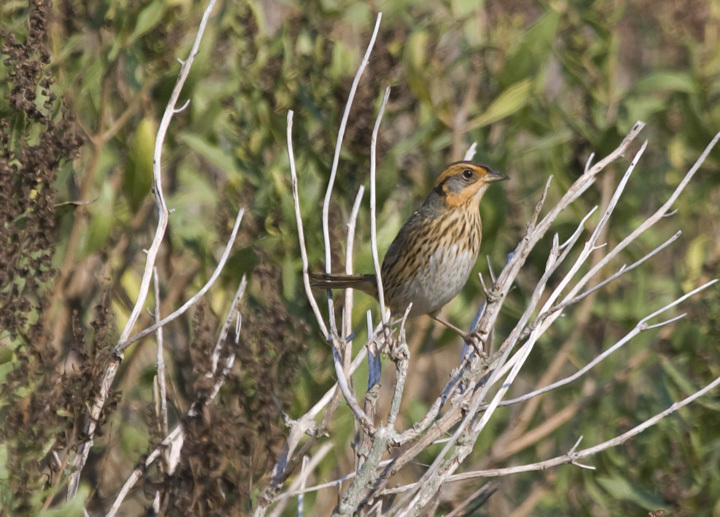 Last updated: 10/20/2008. 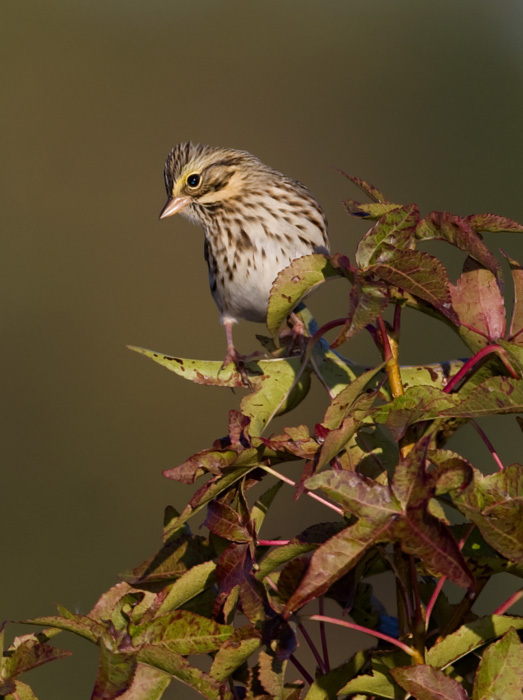 Above and below three: Savannah Sparrows in Harford Co., Maryland (10/20/2008). 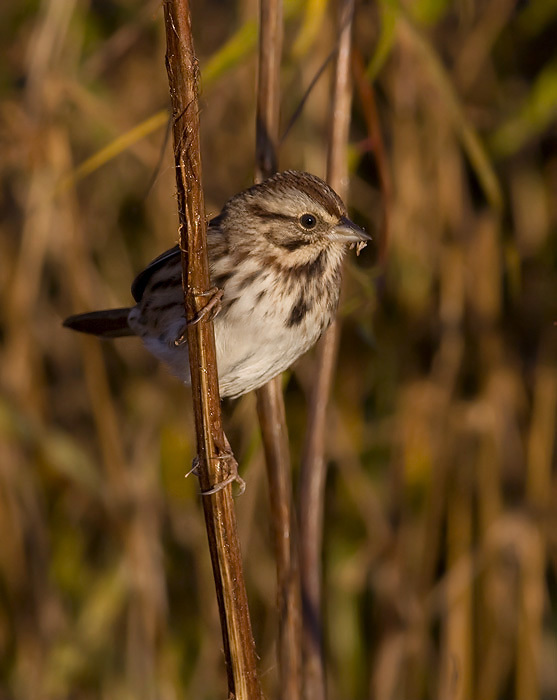 Below: A Song Sparrow at Swan Harbor in Harford Co., Maryland (10/20/2008). 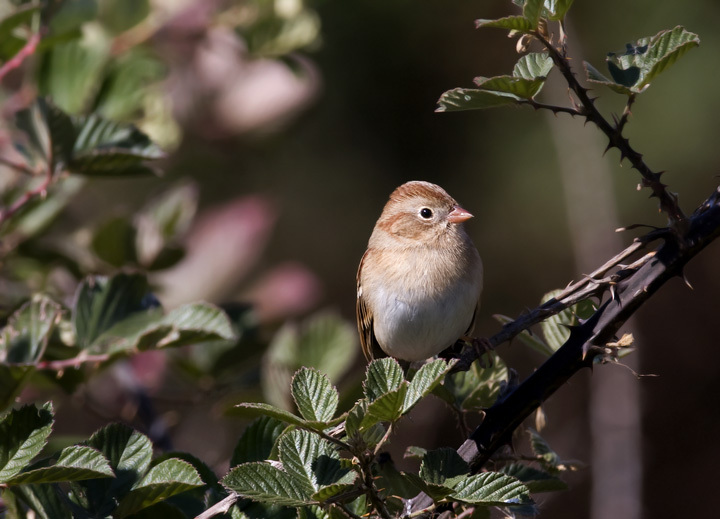 Below: A Field Sparrow in Harford Co., Maryland (10/20/2008). 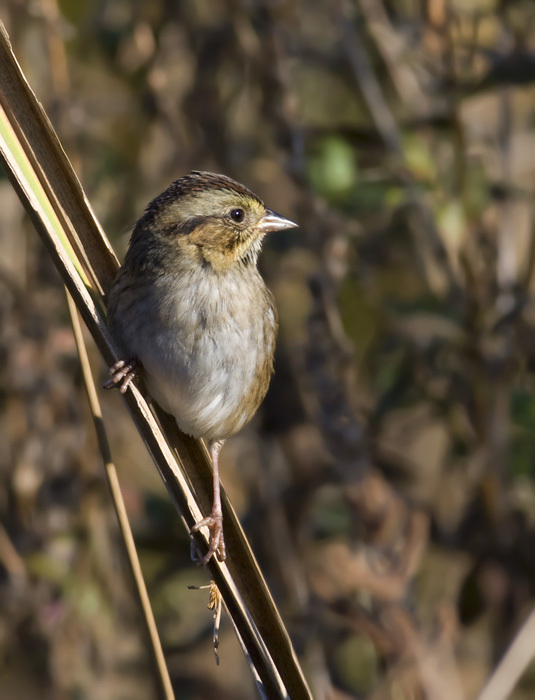 Below two: A Swamp Sparrow in Harford Co., Maryland (10/20/2008). 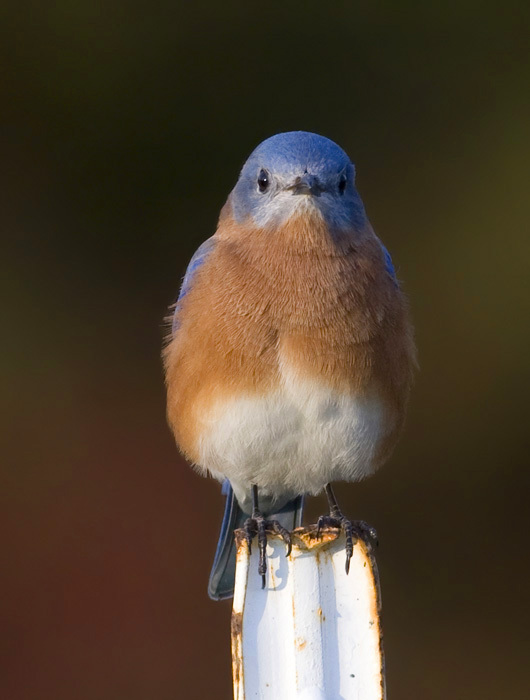 Below two: An Eastern Bluebird at Kinder Farm Park in Anne Arundel Co., Maryland (10/14/2008). 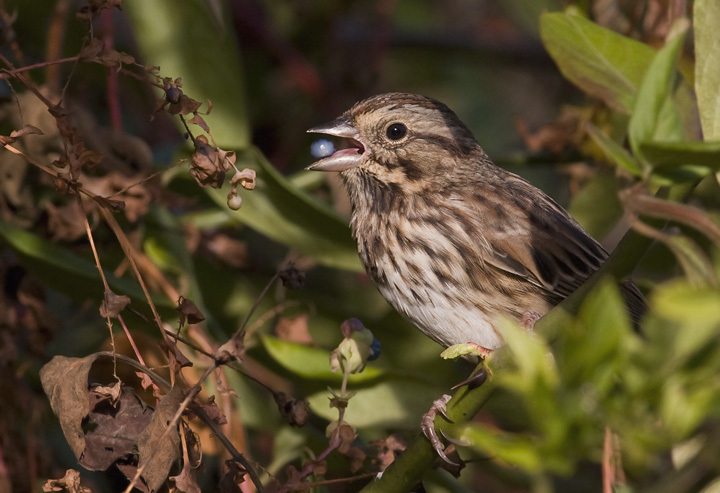 Below: A Song Sparrow snacks on Mile-a-Minute berries at Kinder Farm Park, Anne Arundel Co., Maryland (10/14/2008). 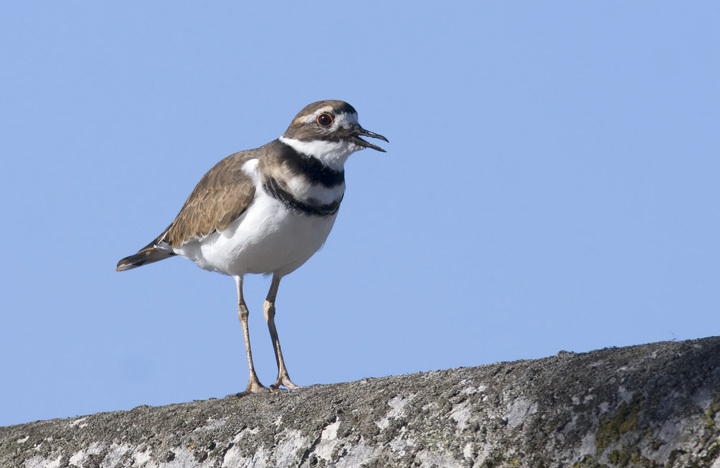 Below: A Killdeer at Fort Smallwood, Anne Arundel Co., Maryland (10/10/2008). 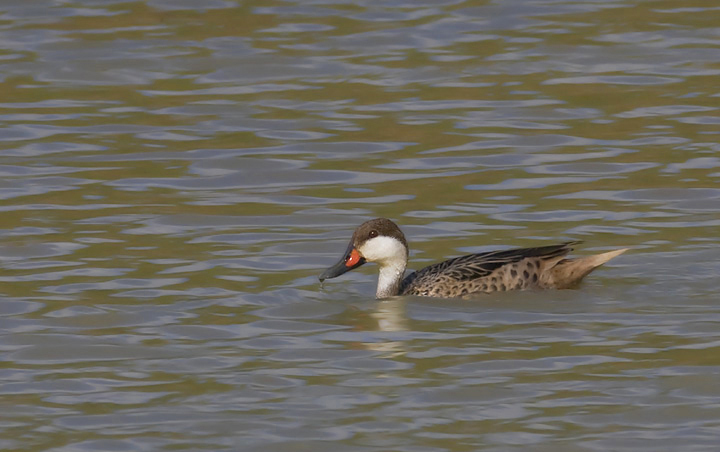 Below two: A White-cheeked Pintail near Charles Town, West Virginia (10/9/2008). 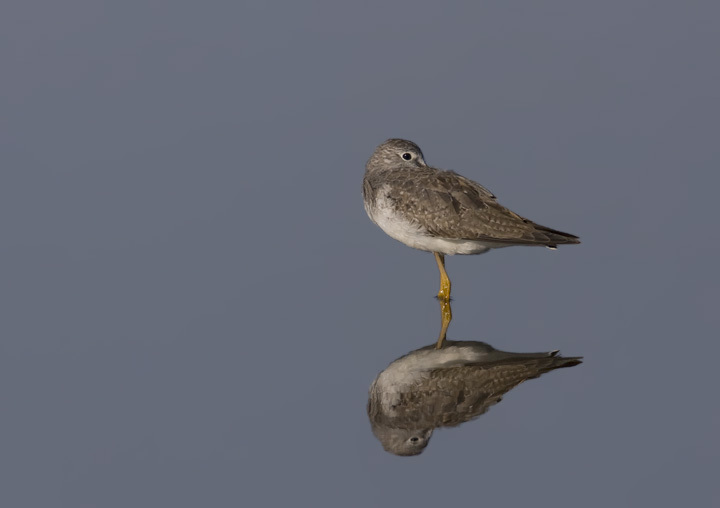 The arrival of this Caribbean and South American species in the wake of major storms has many observers more optimistic about it being a wild bird rather than an escapee. 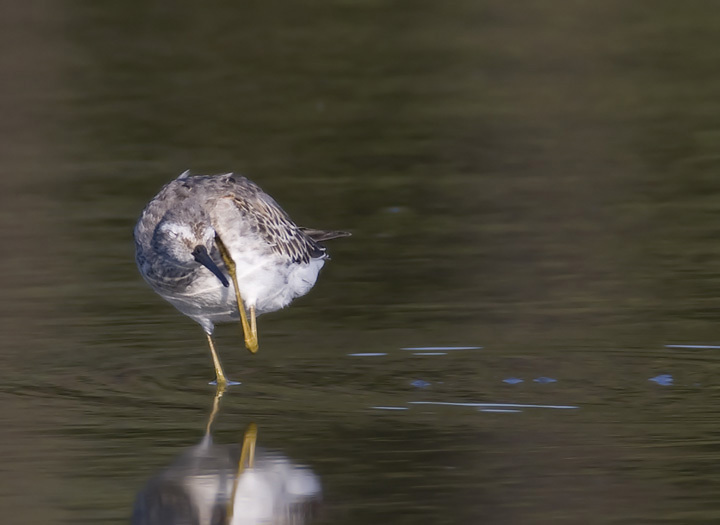 Below four: A juvenile Stilt Sandpiper molting into first basic plumage (Queen Anne's Co., Maryland, 10/4/2008). 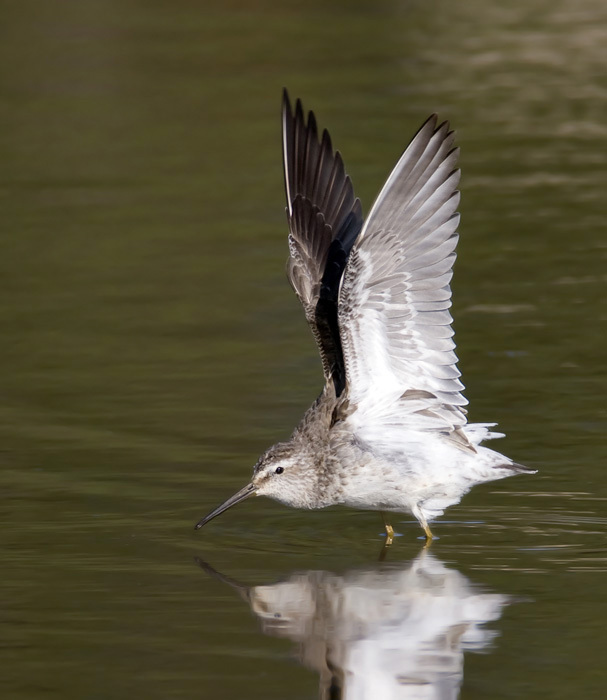 Thanks to Marshall Iliff and Matt Hafner for some background info on juvenile Stilt Sandpiper molt. 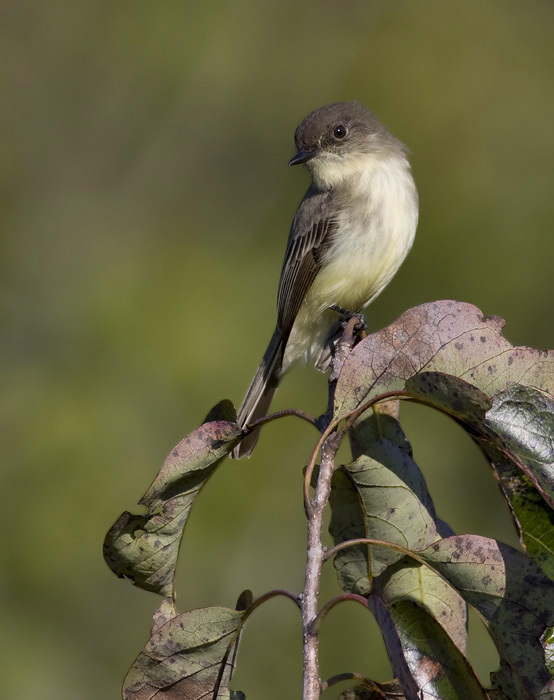 Below: A migrant Eastern Phoebe in Kent Co., Maryland (10/4/2008). 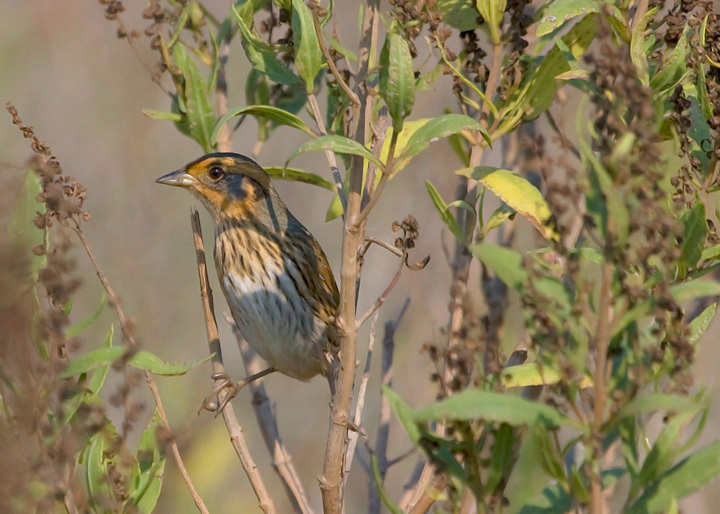 Below two: A Saltmarsh Sharp-tailed Sparrow in coastal Worcester Co., Maryland (10/5/2008). 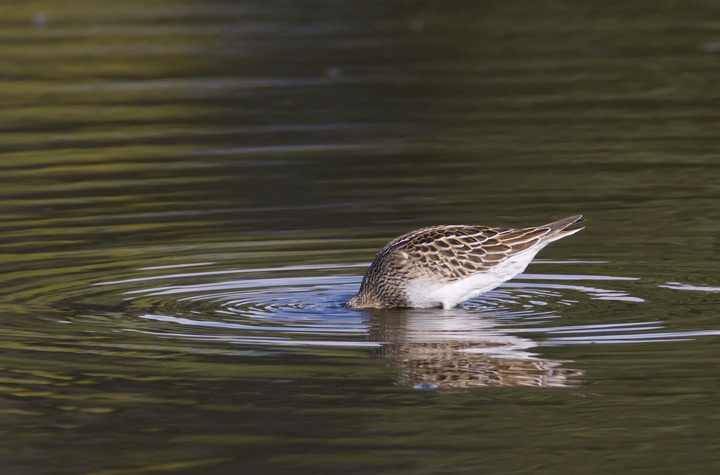 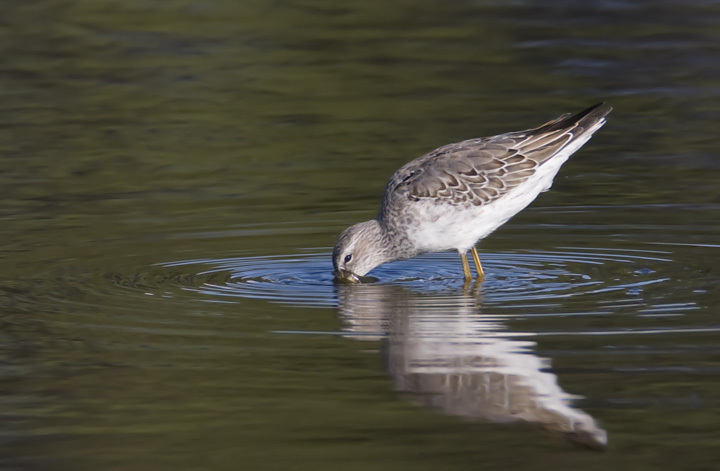 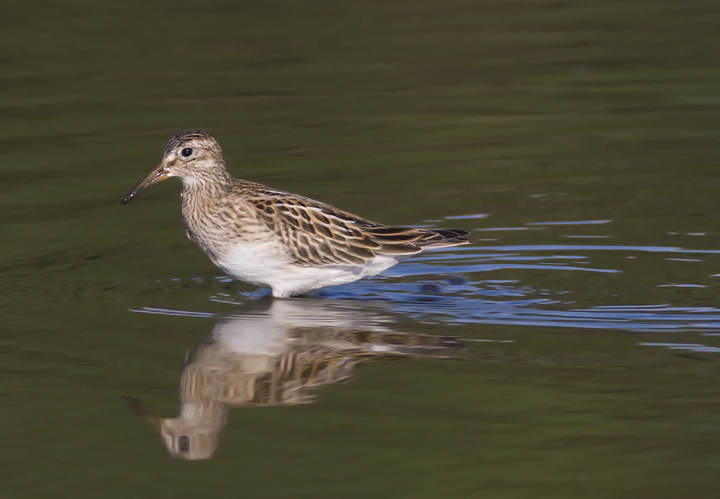 Below: A juvenile Pectoral Sandpiper in Queen Anne's Co., Maryland (10/4/2008). 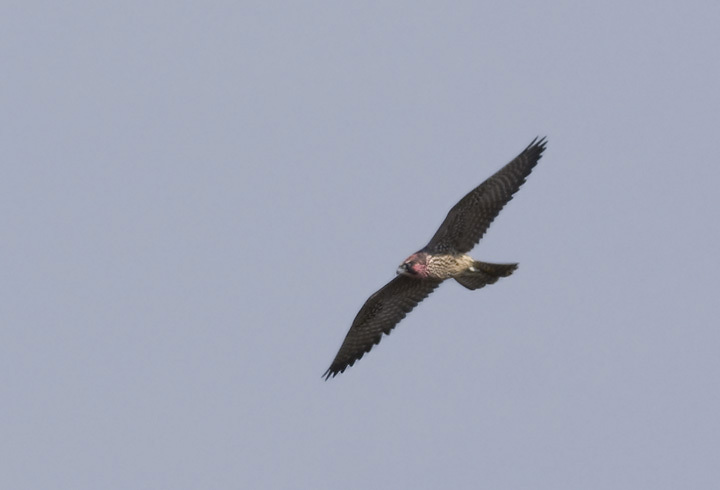 Below: We spotted this interesting Peregrine Falcon on Assateague Island, Worcester Co., Maryland (10/5/2008). 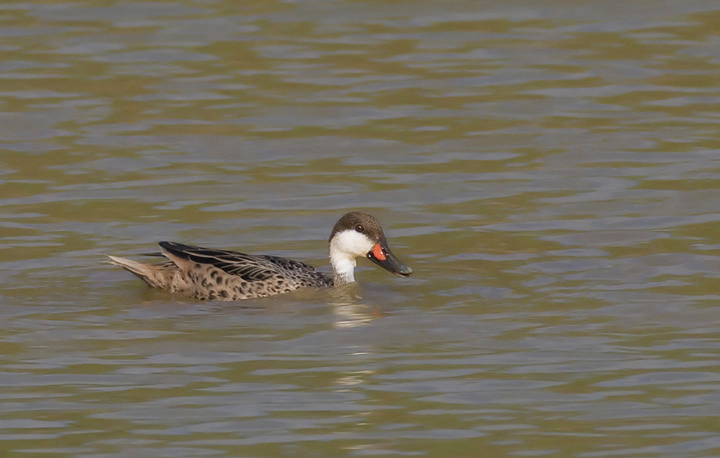 It appears that its head was dyed by banders for identification purposes. 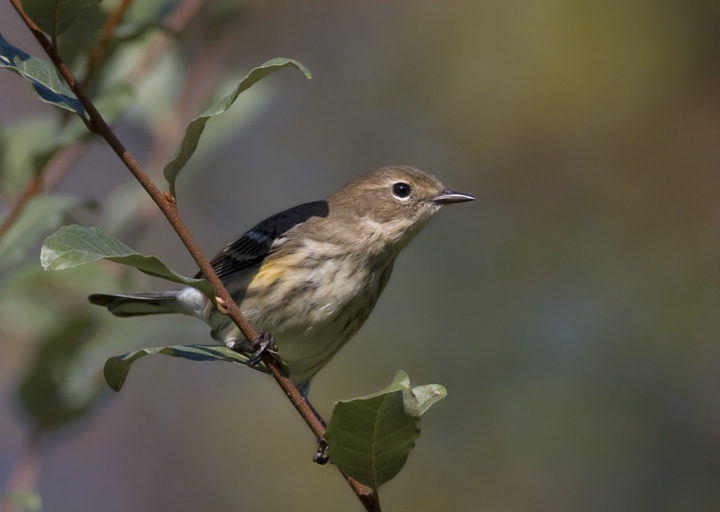 Below: A Myrtle Warbler in Kent Co., Maryland (10/4/2008). 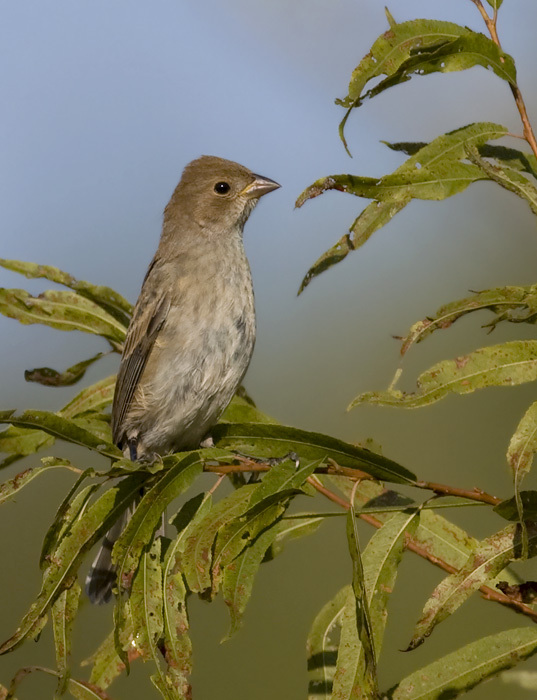 Below: A female Indigo Bunting in Kent Co., Maryland (10/4/2008). 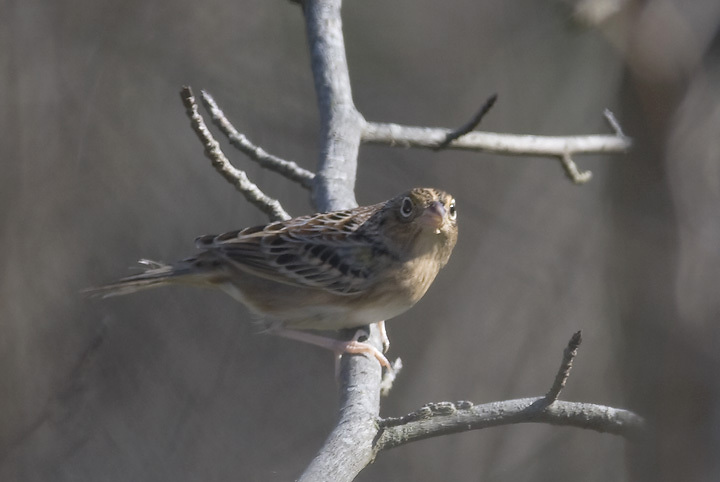 Below: A migrant Grasshopper Sparrow along a wooded edge in Kent Co., Maryland (10/4/2008). 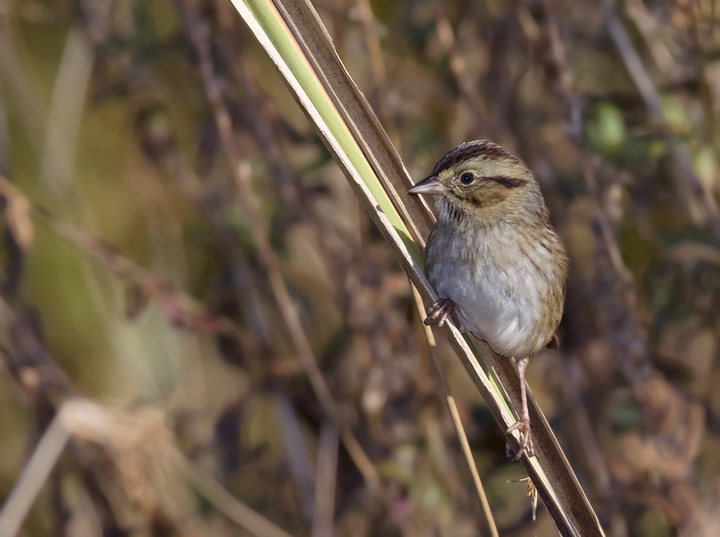 Matt Hafner and I were discussing what a strange migrant this species is in our area. 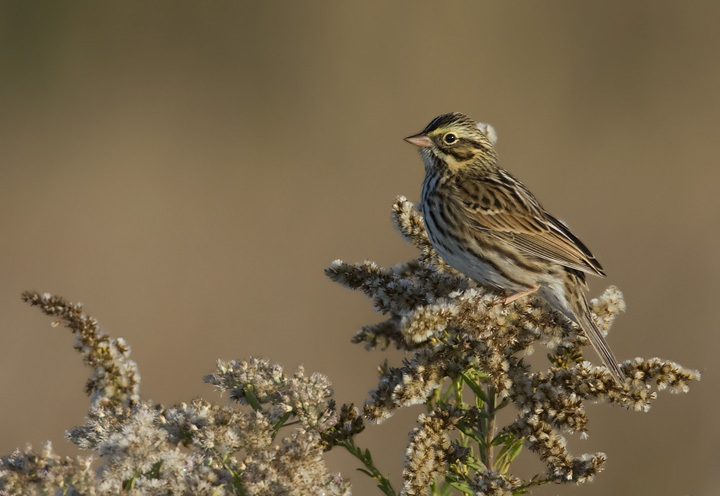 Their migration seems later than one would expect considering that they start becoming difficult to detect in late August and early September. 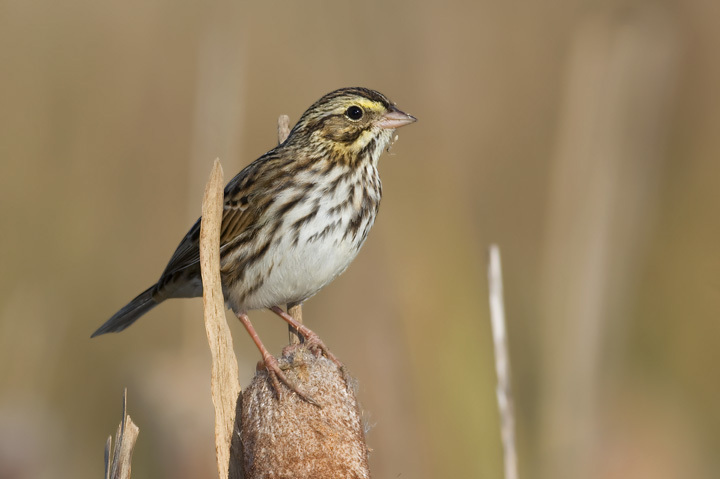 They're rarely reported in Maryland as migrants, and when they are, they are almost always reports of single individuals. 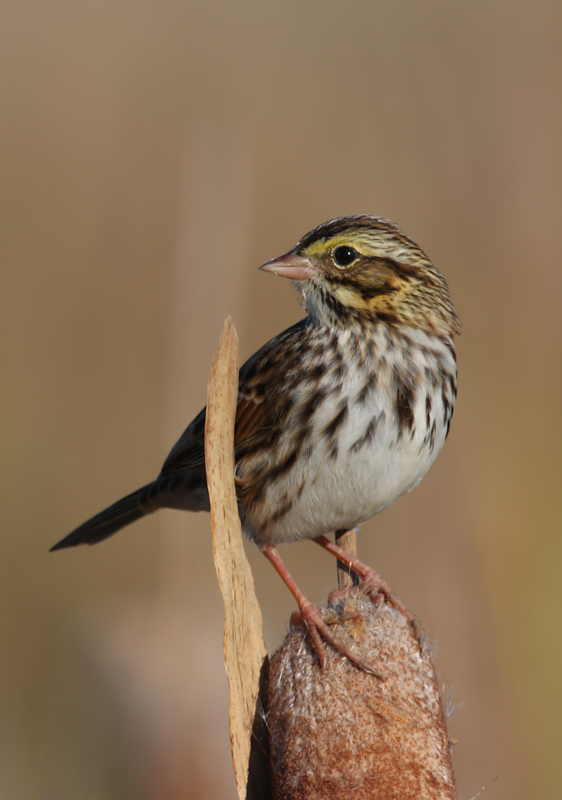 We settled on considering it a lack of coverage in preferred habitat during migration. 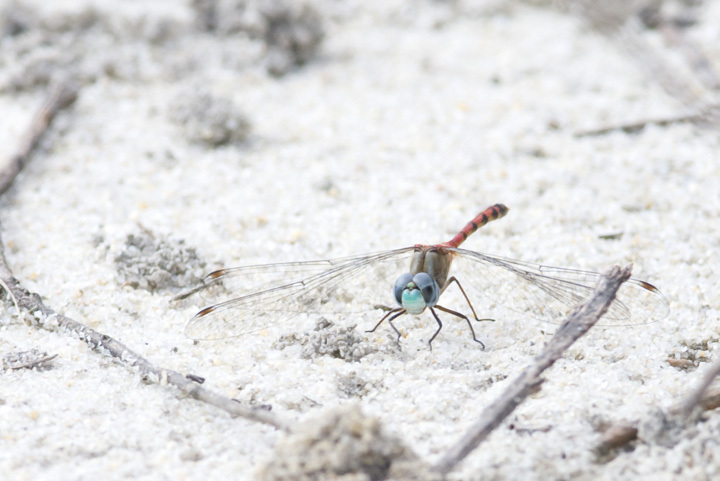 Below: A Blue-faced Meadowhawk in Caroline Co., Maryland (10/4/2008). 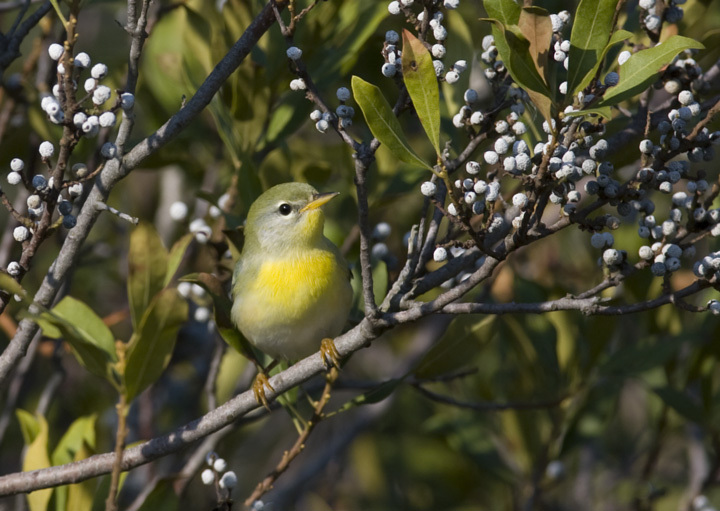 Below: A migrant Northern Parula in a Bayberry bush on Assateague Island, Maryland (10/5/2008). 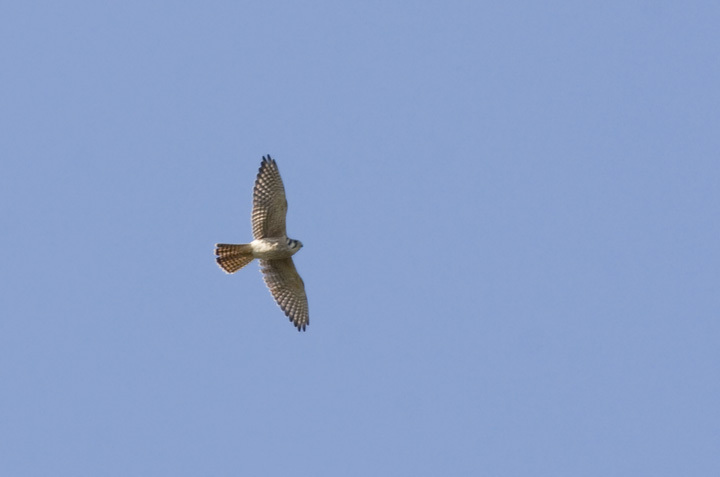 Below: An American Kestrel in flight over Caroline Co., Maryland (10/4/2008). 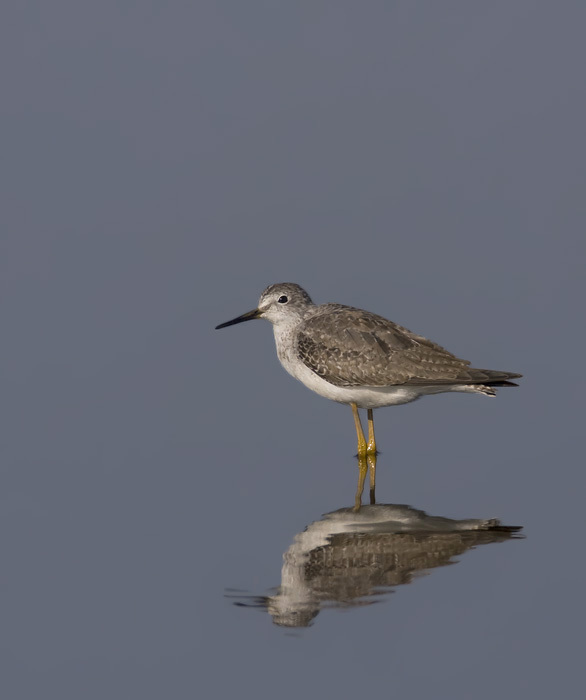 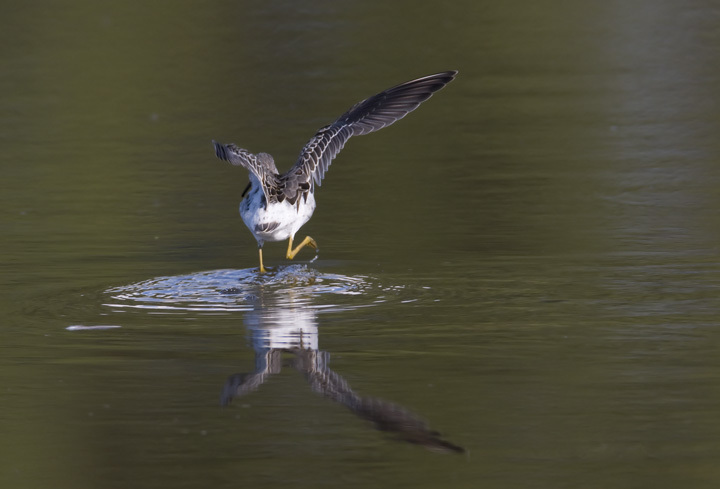 Below two: A Lesser Yellowlegs in Queen Anne's Co., Maryland (10/4/2008).